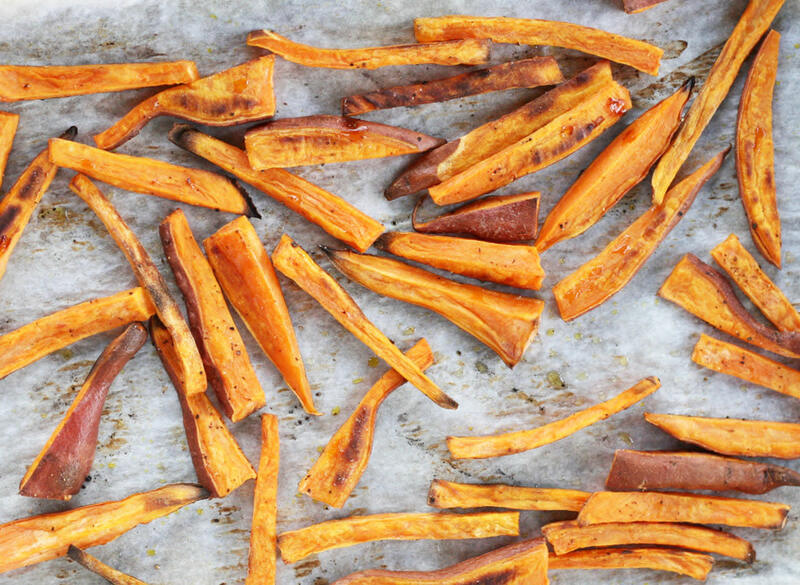 Make crispy, baked sweet potato fries in your own kitchen for an easy, delicious side. 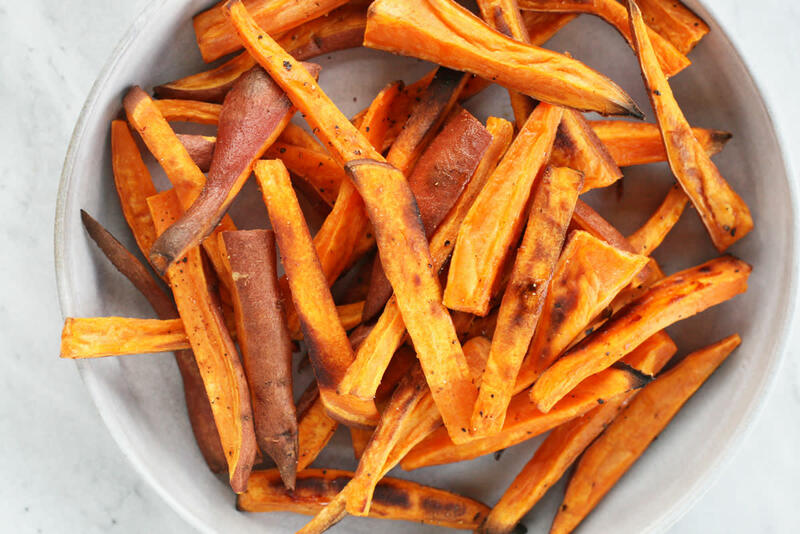 Requiring just sweet potatoes, avocado oil, sea salt, and pepper, these sweet potato fries are not only Paleo-friendly, gluten-free, and crazy healthy, they’re way cheaper than picking up greasy sweet potato fries at your local burger joint, too. 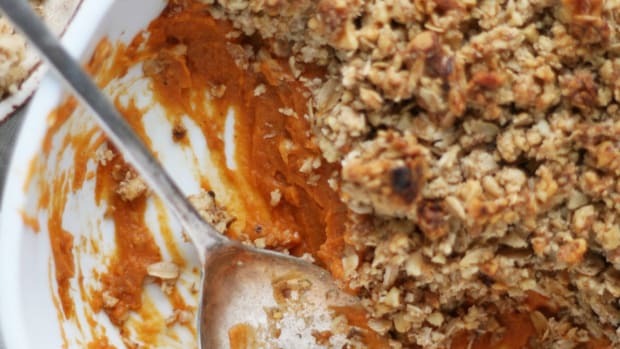 The nutrient-dense sweet potato is the star of this recipe. 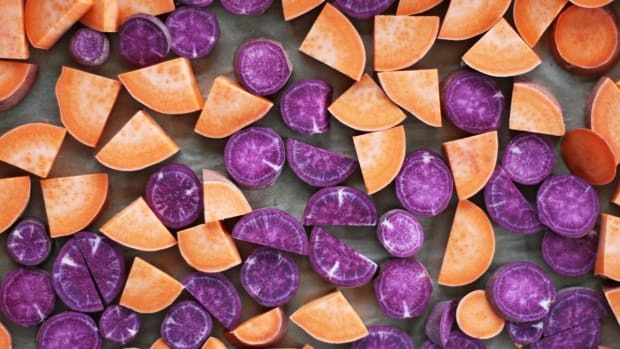 Rich in antioxidants like beta-carotene (a precursor to vitamin A), vitamin C, manganese, copper, potassium, B vitamins, and dietary fiber, sweet potatoes are a healthy tuber to add to your diet. 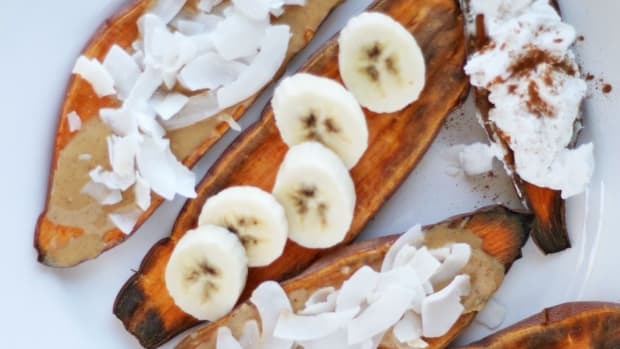 Sweet potato consumption is associated with improved insulin sensitivity and blood sugar levels, better brain function, and improved immunity. Sweet potatoes can also be labeled ‘yam’ at the farmers market or grocery store. Garnet, jewel, and Beauregard yams are actually reddish-skinned sweet potatoes. Regular sweet potatoes have a light brown skin and creamy white color inside, but tend to not be as sweet as yams. 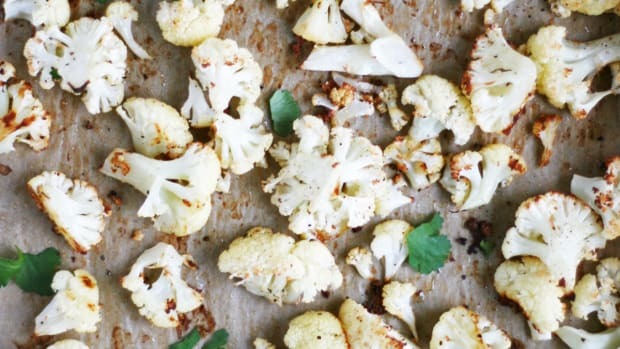 For this recipe, choose sweetener garnet, jewel, or Beauregard yams instead. Look for either organic or conventional sweet potatoes or yams. Although regular potatoes should be purchased organic, (as they fall on the Environmental Working Group’s Dirty Dozen list) sweet potatoes and yams do not make the list. Look for small to medium sized sweet potatoes, which tend to be sweeter and creamier, and less starchy than large sweet potatoes or yams. The skin should be dark in color, smooth, and free from blemishes and cuts. 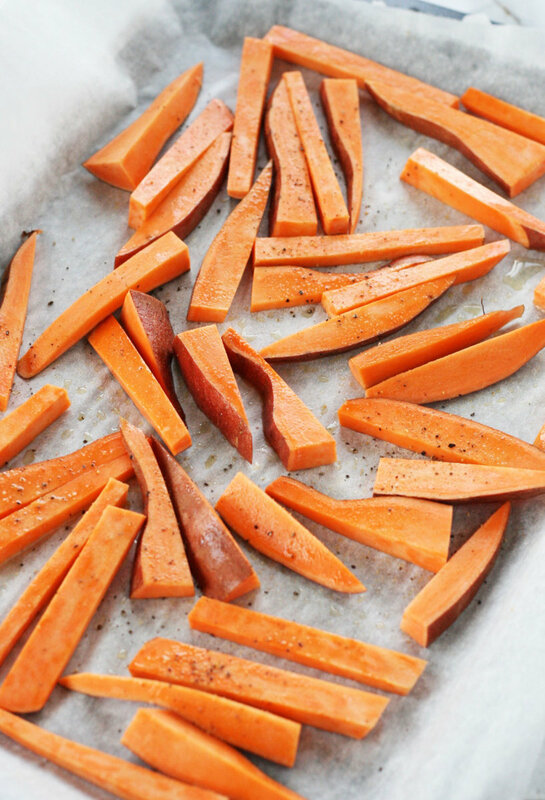 To begin making these baked sweet potato fries, preheat oven to 450 degrees Fahrenheit and line a large baking sheet with parchment paper. A secret to getting nice and crispy baked fries is to keep them in a single, even spaced layer. This prevents the fries from getting mushy or undercooked. Using avocado oil in this recipe is a healthy alternative to processed vegetable oils like canola or corn oil. Bonus: avocado oil is filled with healthy fats and it suitable for high-heat cooking and roasting. 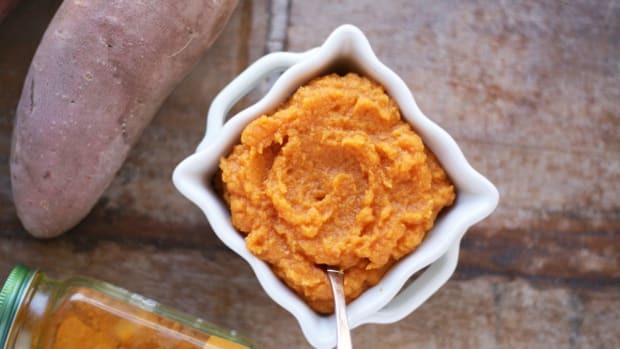 Another delicious alternative is melted ghee, which also has a high smoke-point and gives sweet potato fries a delicious buttery taste. 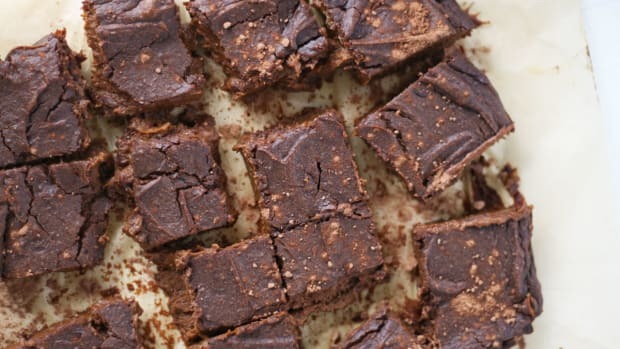 Both options are Paleo-friendly and rich in healthy fats, vitamins, and minerals. Preheat oven to 450 degrees Fahrenheit and line a large baking sheet with parchment paper. 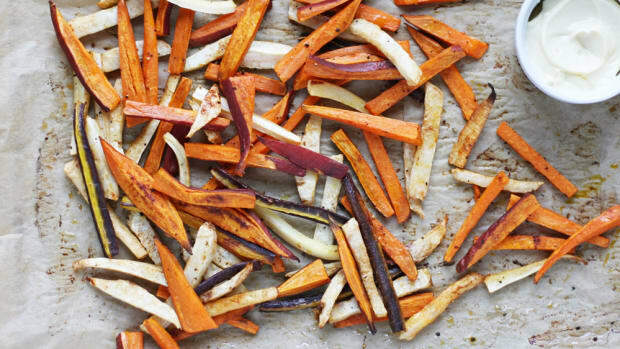 Cut sweet potato into even sized fries. The thinner, the better. 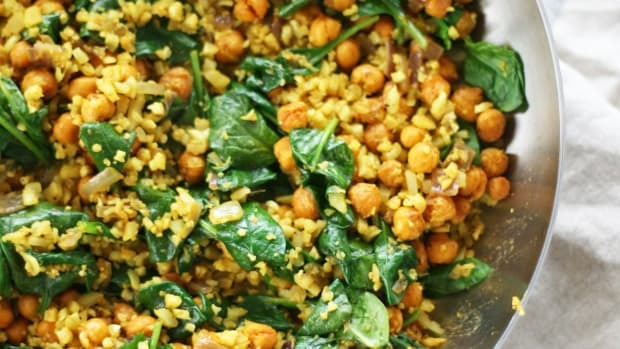 Add to a large bowl and drizzle with avocado oil. Sprinkle with sea salt and fresh ground black pepper, to taste. Mix fries well so that they are evenly coated in oil. Add fries to lined baking tray. Evenly space fries so that they are all in a single layer, with plenty of space around them. Roast fries for 25-30 minutes, moving around halfway through. Remove fries from oven and serve.